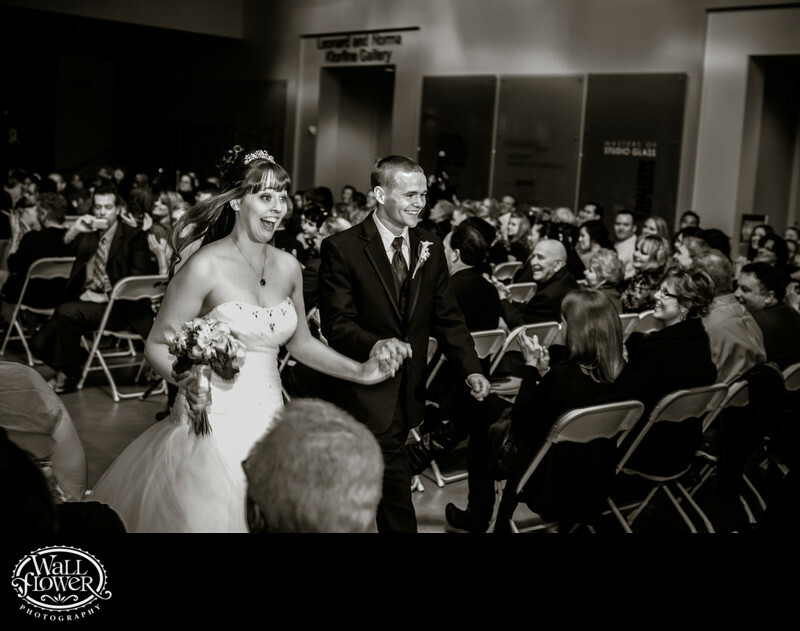 What a great expression on the bride's face as she and her groom exit their wedding ceremony inside the Grand Hall of the Museum of Glass in Tacoma, Washington, as a newly minted married couple! This photo won an award in a wedding photography competition held by the Wedding Photojournalist Association (WPJA). The black and white conversion eliminated some distracting colors in the clothing of the wedding guests in the background and help direct the viewer's eye onto their faces. You can even see the bride's hair blowing behind her from the speed of their walking.